Incredibly popular plants thanks to their gorgeous, goblet-shaped, pink-purple flowers that appear in September and October from chunky underground bulbs. 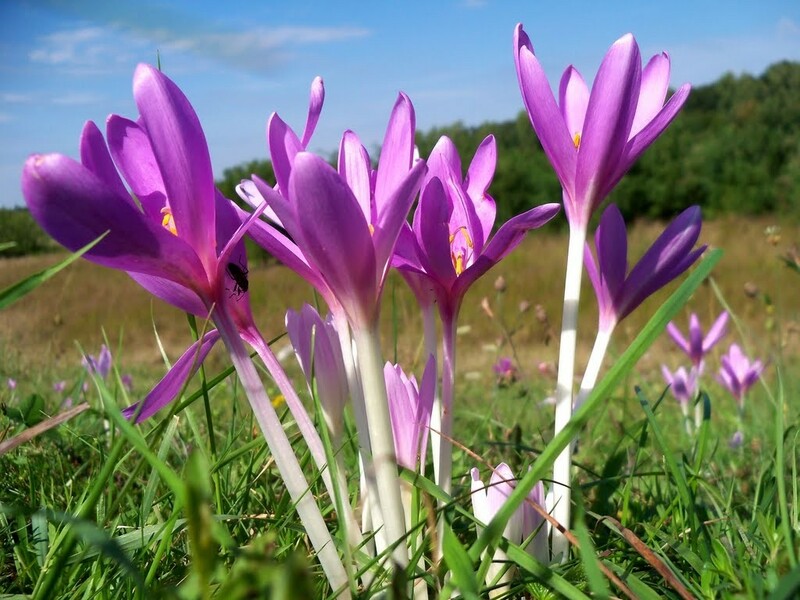 Another of the common names of Colchicum is Bare Naked Ladies, this results from its unusual growth cycle where the flowers appear in the autumn with no leaves around them and the leaves and seeds appear in the spring and die off in the summer. These autumn-flowering bulbous plants are perfect for naturalising in grass or under the canopy of a specimen tree or deciduous shrubs for example. Supplied as a potted plant in approx 1 litre containers full of buds and blooms in season. 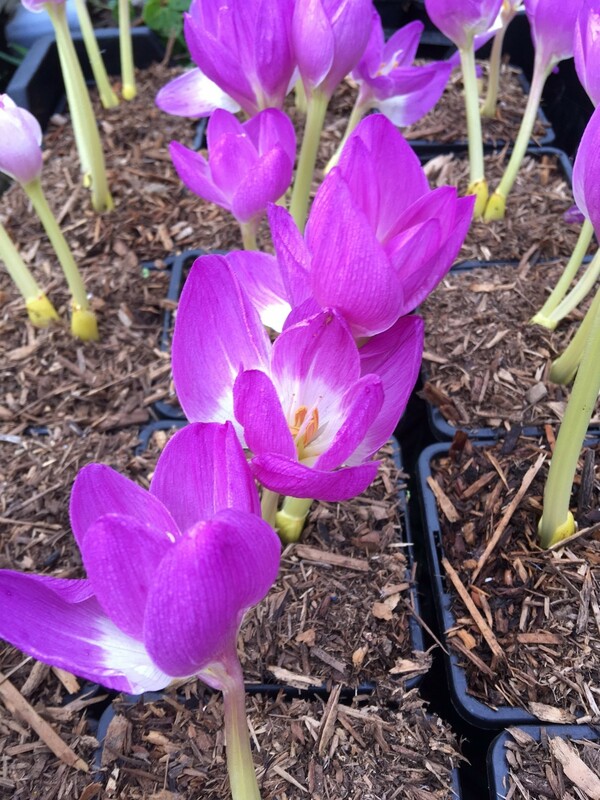 Colchicums need moisture-retentive, fertile soil to flower well. They're best grown in a sheltered spot that enjoys afternoon sun because this encourages a good succession of wide-open flowers Enrich poorer soils by adding good friable compost. However if yours tends to be heavy, improve the drainage by adding coarse grit. Top dress with well-rotted manure or garden compost during dormancy (from November until February) and use a foliar feed, such as seaweed extract, in spring. Don't cut unsightly leaves off; they need to die down naturally to replenish the corm. Please note that this is a poisonous plant, and not recommended where children may come in to contact with it and accidentally ingest any part. Supplied in Bud/Bloom in season, however this can not be guaranteed, as they may well have already blossomed earlier in the normal flowering period, which is from late August to November depending on local weather conditions if you order towards the end of this.